I have always thought of making fritters with cocoa! 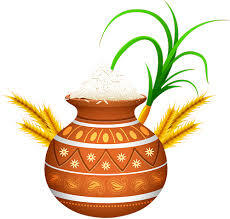 If we can combine flour, sugar and salt, whip into a batter, dunk ripe sliced bananas (as a true blue Malayalee loves to do) and fry in hot oil, why mind stirring in a heaped tablespoon of cocoa and forget the fruit slices? well, once this kind of craving strikes, it makes me whizz like the character in some video game powered by the energizer,who flies for seconds, favouring the player. 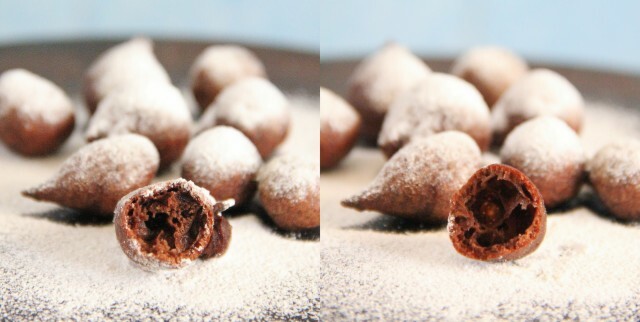 Within minutes I savoured the sizzling hot Cocoa Fritters! 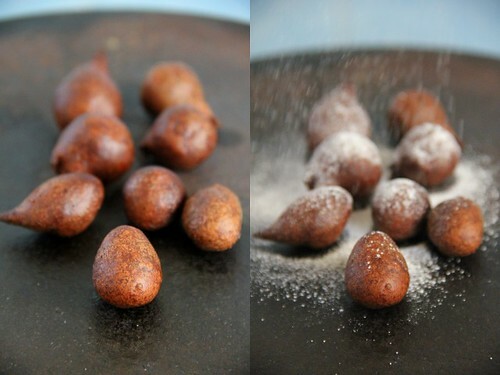 In a large bowl, combine the flour, 1/4 cup of cocoa powder, sugar, espresso powder, baking powder, cardamom, and salt. Beat the milk, egg and vanilla extract, separately. 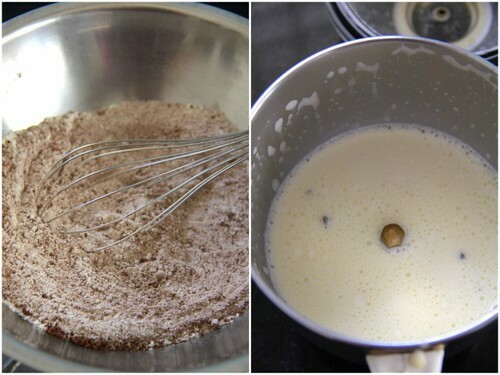 Pour the wet ingredients into the dry and whisk to combine. Set aside while you heat the oil. Heat oil. Bring it to the temperature below the smoking point. This is important to cook the fritters rightly.Or else they get burnt outside and uncooked inside. 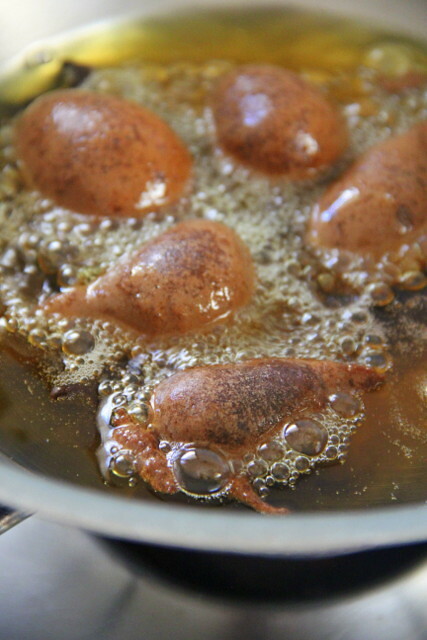 Drop 1 heaping tablespoon of batter for each fritter into the oil. 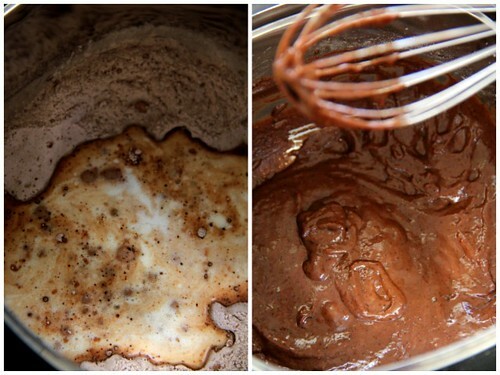 Use a very small ice cream/dough scoop if you have one.Work in batches, and do not crowd the pan. Fry for a few seconds per side, flipping gently once. 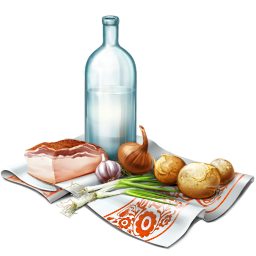 Remove to a paper-towel lined plate. Repeat with remaining batter. Allow fritters to cool to room temperature. 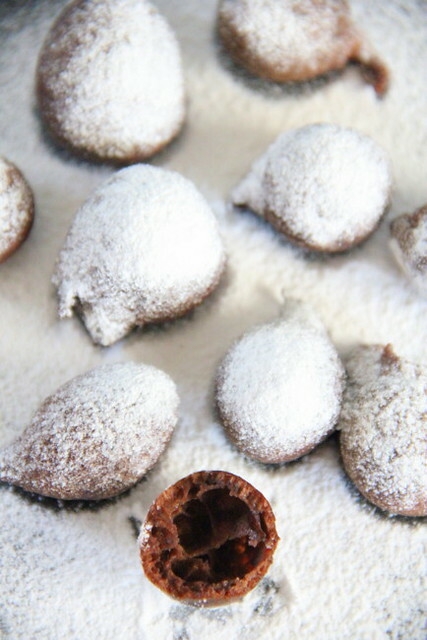 Sift the powdered sugar (and cocoa powder if you prefer) over the them. 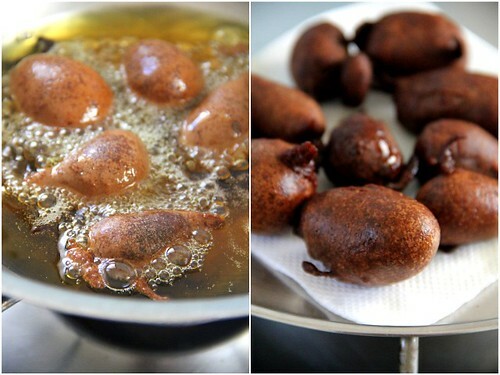 The fritters swell a bit while frying and are crisp while hot but get softer after cooled.They are not sweet enough. So the dusted sugar is essential which compliments. That is so new to me!!! cocoa fritters - never even heard of it!!! looks delicious!!! 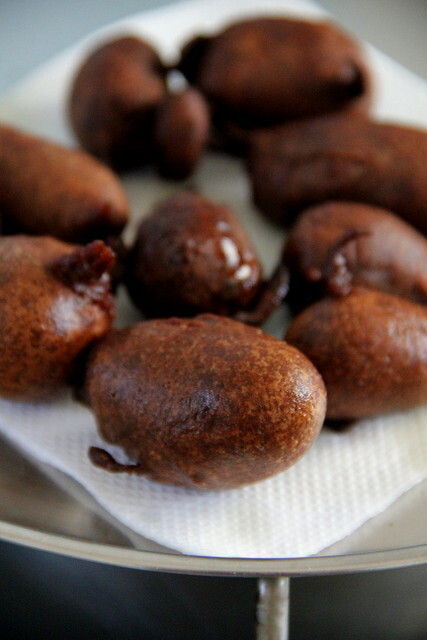 Cocao fritters that quite attractive and very tempting, feel like munching some. Fritters looks YUM !! lovely idea !! this is just a fantasy.. they r so good.. Thanks for the recipe. I tried this one today for a after school snack. It was a super hit and I had to make another batch :) The only modification I made was to add some ginger extract to the mix. I like the ginger-chocolate combo and since it is winter I try to add as much ginger to the diet as possible. I plan to try cinnamon-ginger powder combo next. The options are limitless and the chocolate fritters are yummy!! Wow.. All i can say is just wow!! Nice dessert idea...but don't tempt me...I want to stick to my new year resolution! 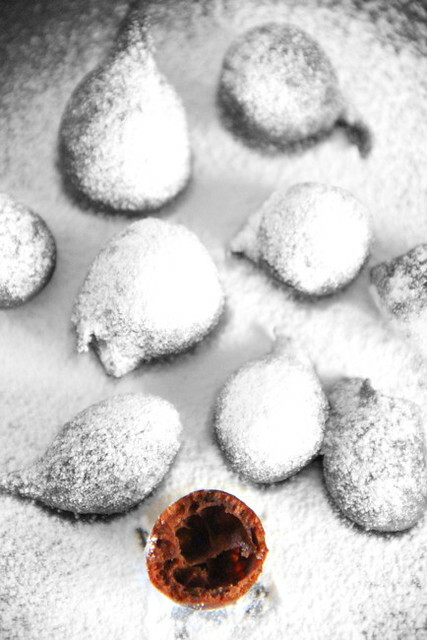 The photo of the fritters frosted with sugar is exquisite! What a delightful idea, Bharathy. These sound really interesting...like something I used to have as a kid called zeppoli. Little fried cinnamon sugar fritters served with chocolate, caramel, or coffee flavored sauces. Definitely going to try this soon!